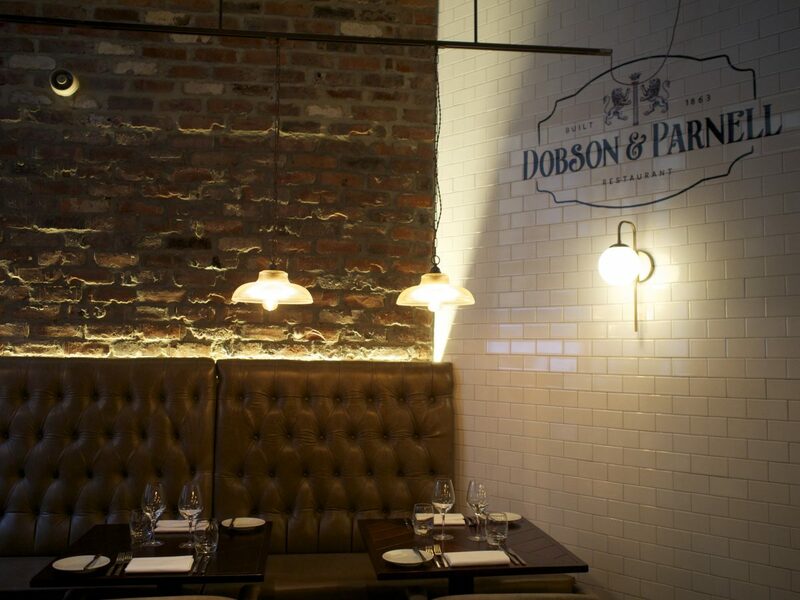 Dobson and Parnell has been on our radar since it opened in December and we were excited to check it out. 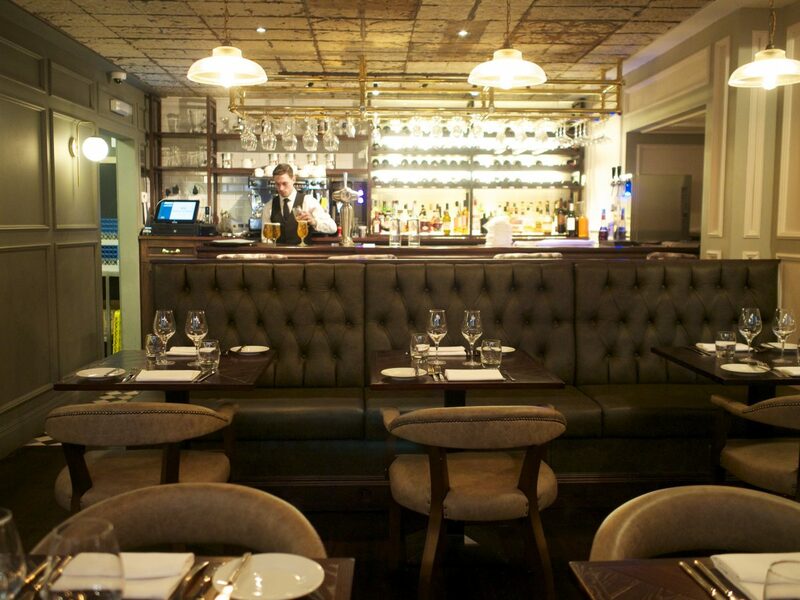 Located at the prestigious 21 Queen Street - former home of Terry Labourne's michelin-starred restaurant before it moved and more recently Pan Haggerty, they have big boots to fill. Visiting at 6pm on a Wednesday evening the restaurant was quiet, with only one other table in. We were quickly seated and our waiter immediately made us feel at home. 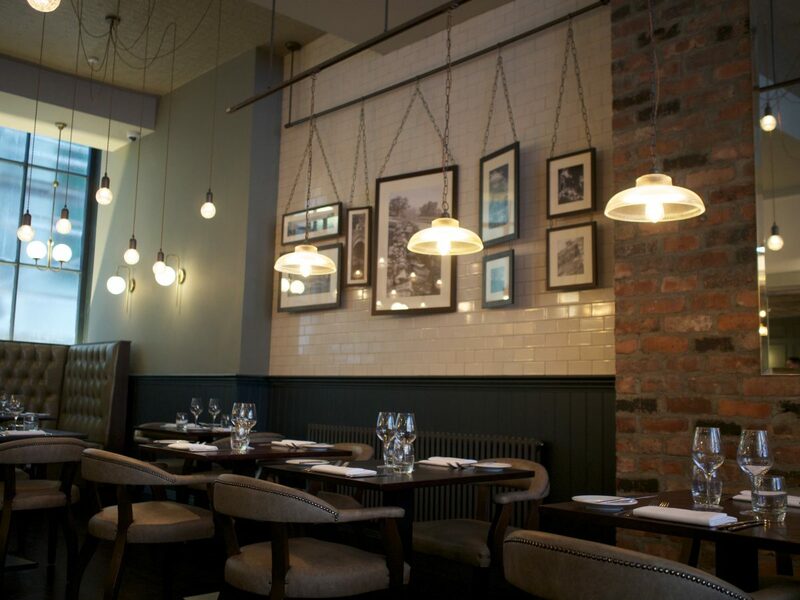 The restaurant is tastefully decorated – think exposed brick, leather booths and lots of cool light features. 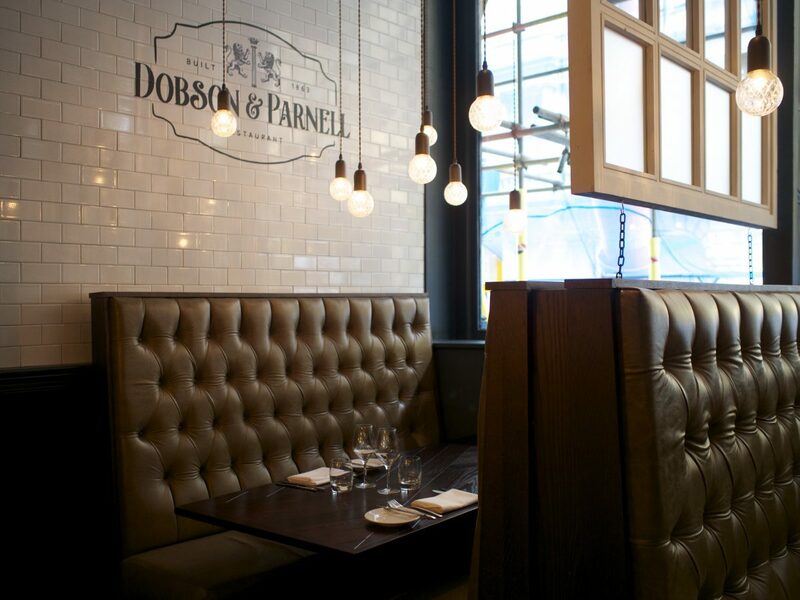 Dobson & Parnell is from the same people that brought us Blackfriars and Hinnies in Tynemouth so the bar had been set. 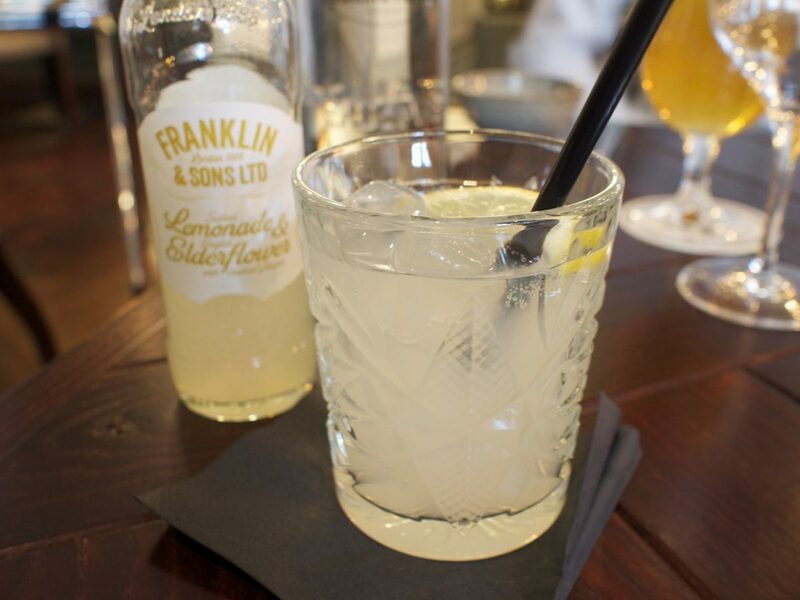 The place is named after the architects who designed most of Newcastle’s buildings in Victorian times including the grade II listed restaurant. We were brought sourdough and a cod roe aioli with pumpernickel crumb dip which was a great taste of what was to come. 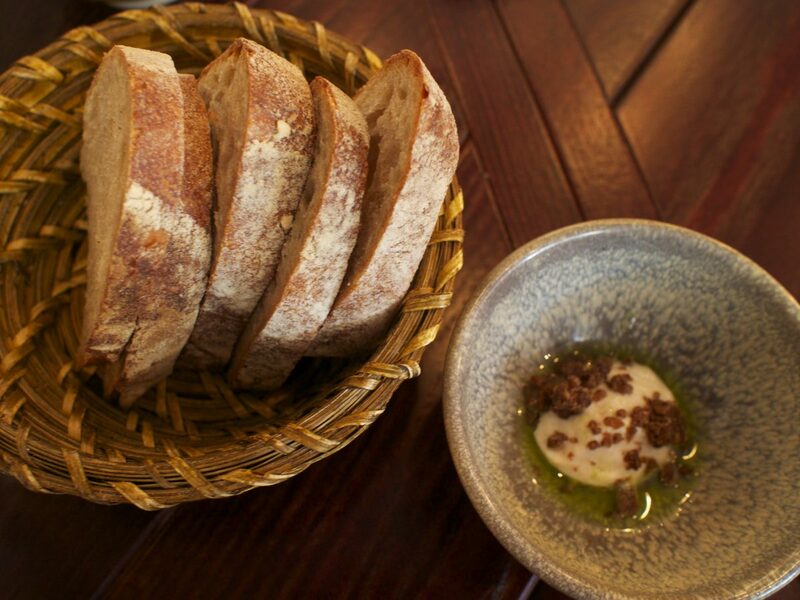 It was some of the best sourdough we’ve tasted this side of San Francisco and the dip was the perfect accompaniment. Little Dude in particular couldn’t get enough! 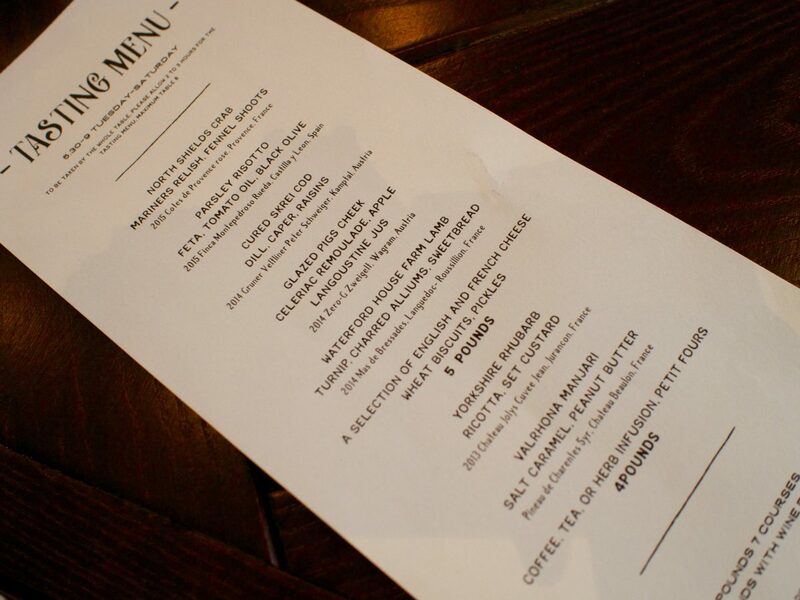 We ate from the set menu which is great value for an early meal or lunch (£25 for 3 course early dinner). 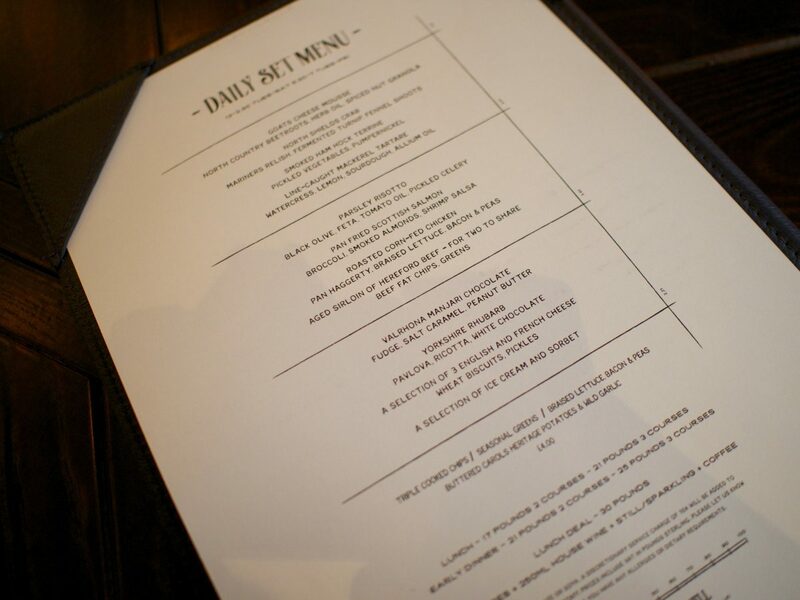 They also do a three course business lunch for £21 and a fizzy lunch (3 courses and glass of fizz) for £24 (Tuesday to Saturday). As I was driving I stuck to a lemonade and the Mr sampled some of the Wylam Brewery pale ale – a rare treat as he’s usually the designated driver! 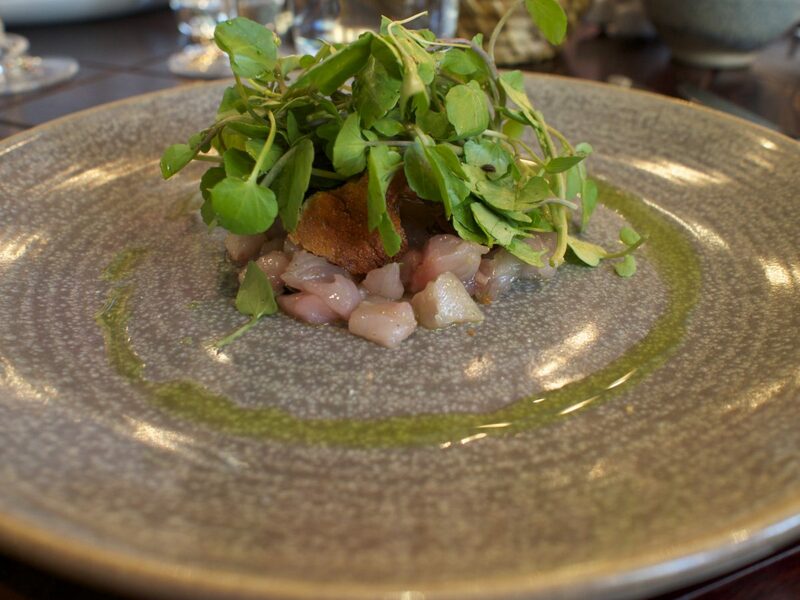 We went for the North Shields crab with mariners relish, fermented turnip and fennel shoots as well as the line-caught mackerel tartare with watercress, lemon, sourdough, and allium oil to start. The food arrived promptly and looked almost too pretty to eat. 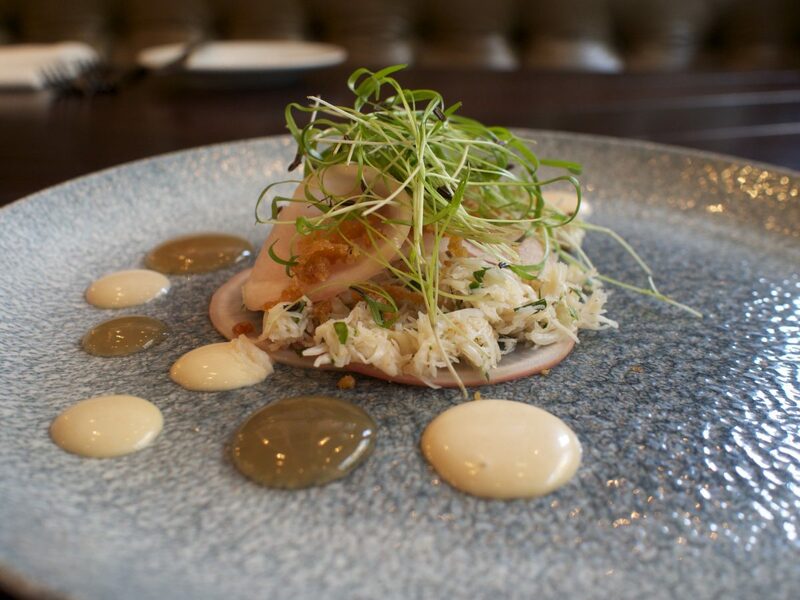 The crab was fresh and delicious, with fermented turnip giving it a little kick without overpowering the delicate flavours. The little bits of batter on it were a nice touch too, adding a bit of seaside nostalgia and crunch to the dish. The place started to slowly fill with more people while we were there and had a really nice relaxed ambience to it. LD was made to feel very welcome and he loved exploring the restaurant. After a short wait our mains arrived. 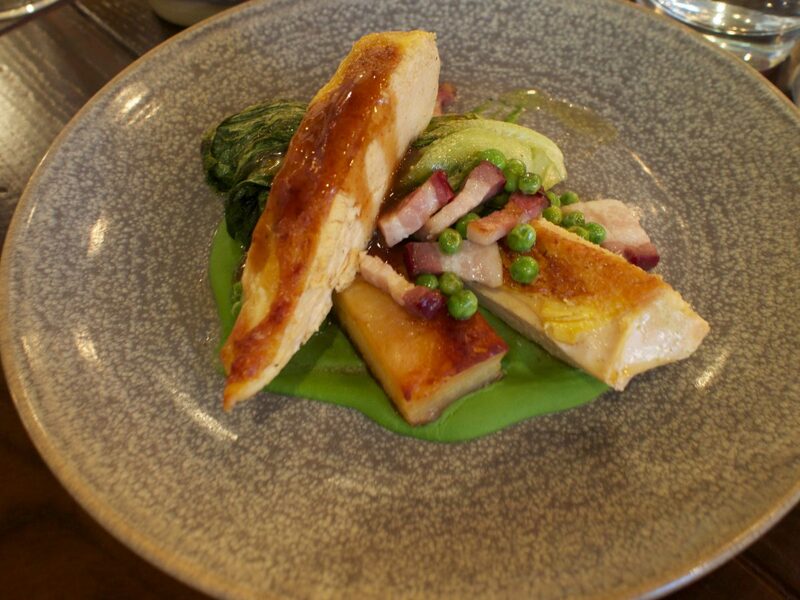 I’d gone for roasted corn-fed chicken with pan haggerty, braised lettuce, bacon and peas. The pan haggerty was a nice little nod to the former occupants of the building and it was also the perfect base for the chicken. There were so many textures and flavours in this dish, the braised lettuce in particular really added an extra dimension to what could’ve just been a standard chicken dinner. The Mr went for pan fried Scottish salmon with broccoli, smoked almonds and shrimp salsa. 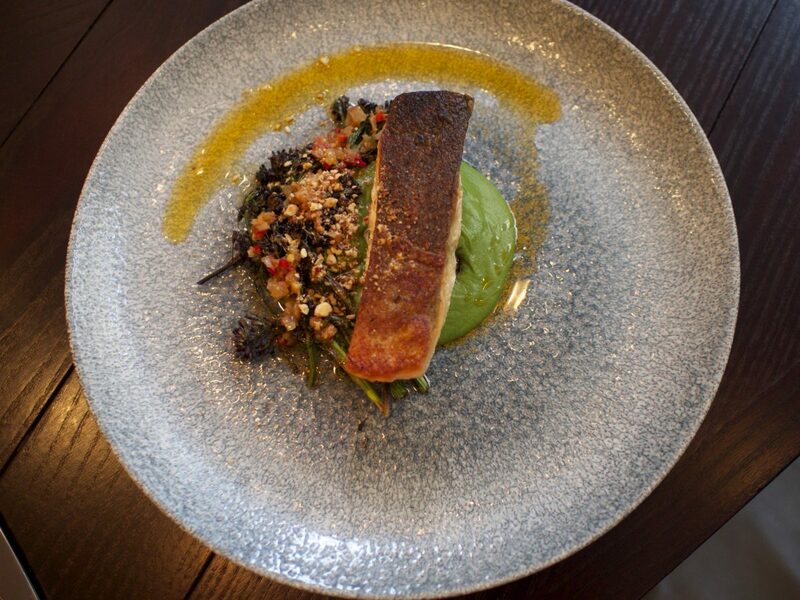 He thought the salmon was cooked to perfection – succulent with a crisp skin and the purple stemmed broccoli was a great accompaniment. The shrimp salsa and almonds added extra flavour and texture. The Mr ordered some triple cooked chips (£4) as it doesn’t come with any potatoes and the chips were “probably the best I’ve ever tasted.” High praise indeed! They don’t have a kids menu but will do half portions and our waiter suggested fish and chips which LD loves so we went for that. 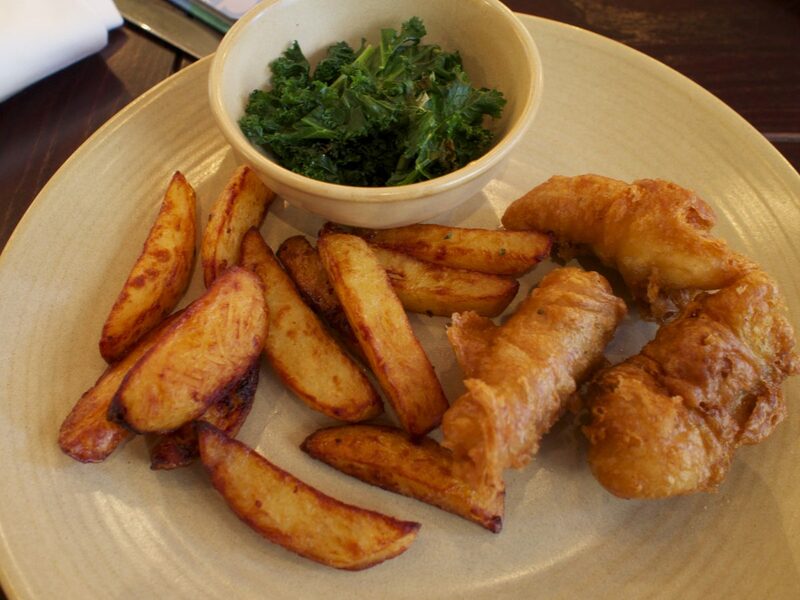 He absolutely devoured the homemade fish goujons and triple cooked chips! It came with a side of kale which he didn’t touch though, carrots or peas would’ve been a more child-friendly vegetable. With a little room left for dessert I ordered valrhona manjari chocolate fudge and salted caramel as it sounded heavenly. Mr Toon Lunch Club went for a selection of sorbet and LD some vanilla icecream. My dessert was as indulgent and delicious as I’d hoped for. The presentation was stunning and the mix of rich chocolate mousse and salted caramel with cinder toffee and fudge was exquisite. 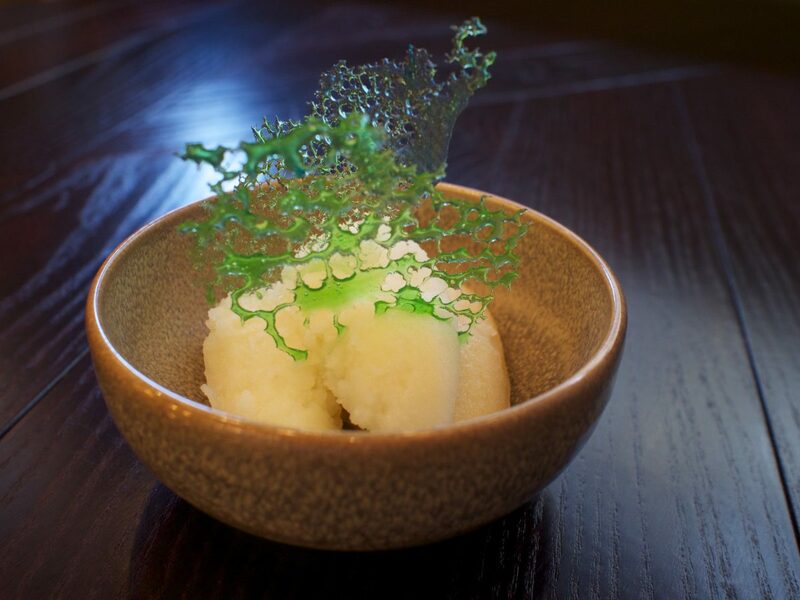 The presentation here is fantastic, even the sorbet came with a green caramelised shard sticking out of it! A combination of fresh mango and lemon sorbet was the perfect palate cleanser according to the Mr whose become quite the sorbet connoisseur. Before we said our goodbyes we tried to change LD’s nappy but unfortunately there were no baby change facilities. This is a pity as the restaurant is so child-friendly otherwise. We noticed that they have just launched a tasting menu which features some of the dishes we tasted (the crab and chocolate dessert). 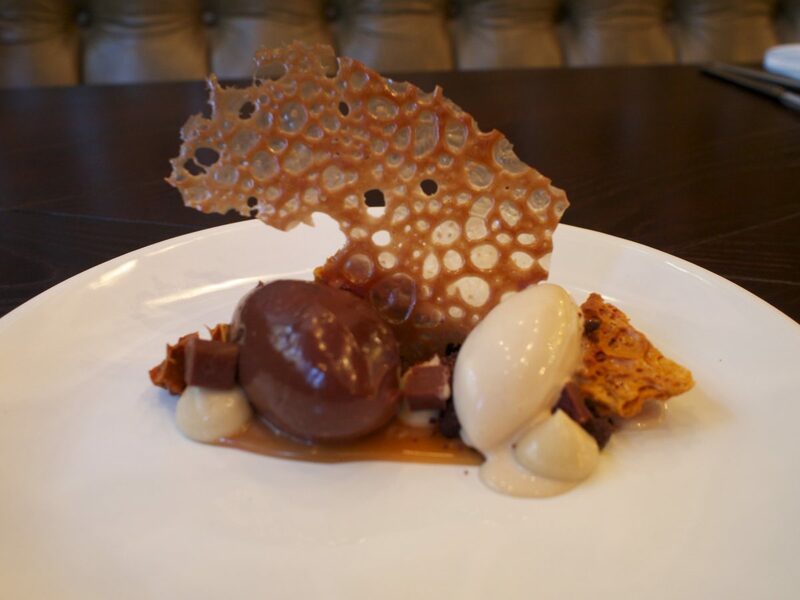 The seven-course tasting menu is priced at £65 per person or £100 with wine pairing. They’ve also recently launched the Whole Hog Food Club – sign up on their website to receive a monthly offer from Dobson & Parnell, Blackfriars and Hinnies. Dobson & Parnell is located at 21 Queen Street, Newcastle upon Tyne NE1 3UG.